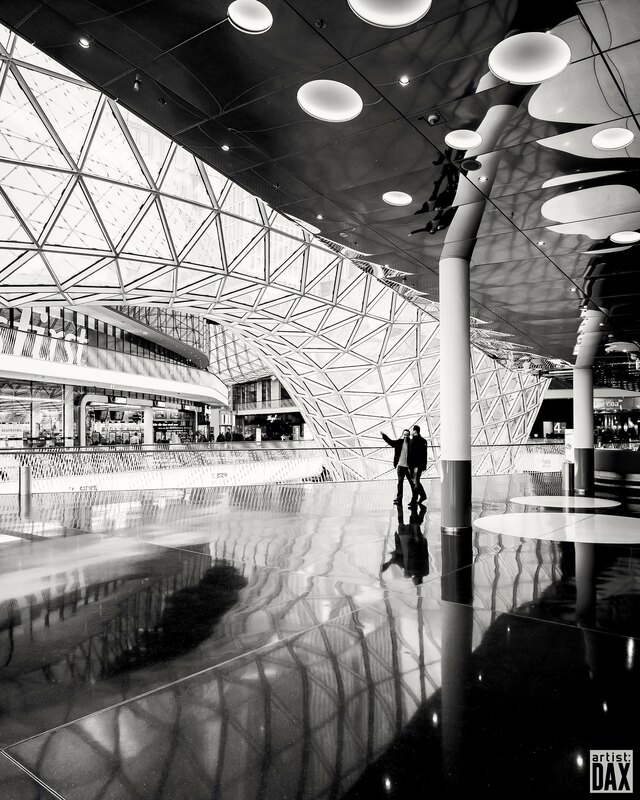 Flickr member artist:DAX posted this exciting image of the interior of a mall in Germany with all sorts of geometric shapes, reflections, and lights. Wow, its quite striking to me. I tend not to repost images with large watermarks on them as I think they detract from images but this is a good one and the watermark isn’t too bad. I agree Martin. It’s an amazing shot of what many would see as a totally garish place.